Guide price is per person. Based on 2 people sharing for 7 nights on Bed & Breakfast. Flying from selected regional airports with year round departures. Goa is situated on the beautiful shores of the Arabian Sea on the south west coast of India, it is an area that has one of the oldest civilizations in the world and is a former Portuguese colony. It is a tropical paradise with over sixty miles of beautiful sandy beaches, great water sports, fabulous food and loads of warm sunshine. It draws the crowds to its picture-perfect white-sand beaches, which are lined with palm trees and dotted with pretty fishing boats. Goa is famed as being one of the most relaxed places in India. Needless to say, in the 1970s when India was popular with American and European hippies, Goa was positively swarming with them. A holiday in Goa is a perfect place for a winter break where you can lay back and enjoy the daily good weather or equally take part in one of the many trips or activities on offer. 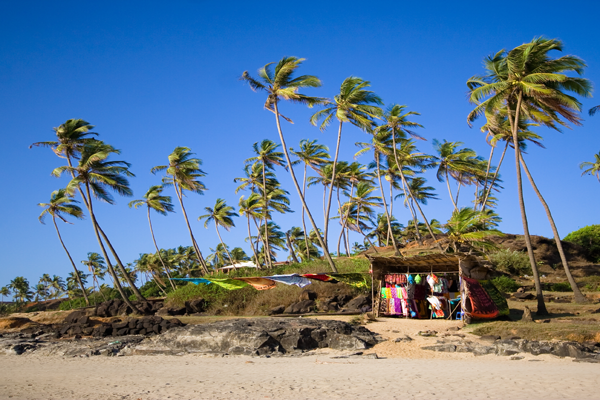 Goa is a winter paradise for sun lovers with blue skies, little to no rain and average daily temperatures hitting 30 degrees plus for most of the season, a complete contrast to the monoon season during the summer months. It has a laid back atmosphere which makes for the most relaxing of holidays but if you like your holidays a bit livelier head for the North of the region. It also gives you the chance to see some of the most beautiful wild animals in the world in their natural habitat. 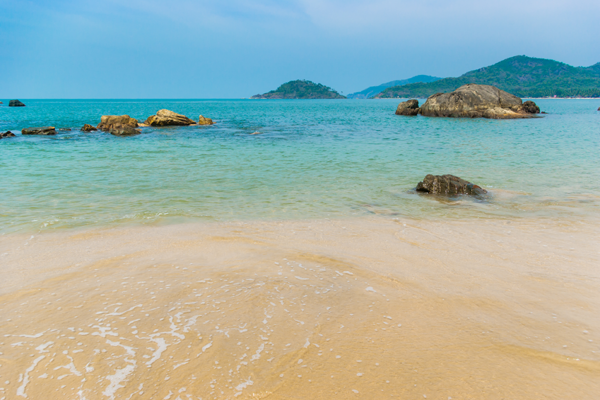 Goa's beautiful beaches stretch for over sixty miles, with shimmering white sands and scattered lush palm trees and of course the sparkling turquoise sea of the gorgeous Arabian Gulf. North Goa has the livelier resorts of Candolim, Baga and Calangute with a wide selection of watersports, beach bars and restaurants, many tourists have been heading here since the 1960's. 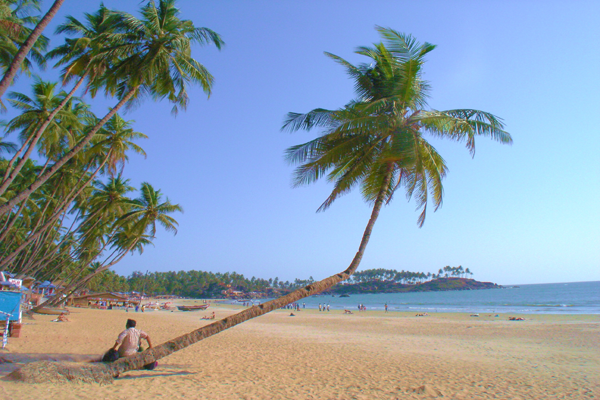 Calangute is the busiest beach resort and is packed with fine white sands and lined with coconut trees. Beach vendors walk up and down the shores selling jewellery, saris and fresh fruits. For lively nightlife, head for Anjuna, it is one of the best beach resorts - by day it's peaceful white sands are the ideal place to unwind, and when the sun goes it is a haven for all-night beach parties.. In Central Goa, the principal resort is Vaniguinum and offers a more relaxed atmosphere. Southern Goa has beautiful, near deserted stretches of beach and quaint beach bars in resorts such as Cavelossim, Mobor and Varca beach. Goa holidays are very popular; chances are the person sat next to you on the aircraft will have been numerous times before as they know what a great destination Goa is. With prices going up all over the world, Goa still offers fantastic value for money with prices much lower than the UK. Goa can be a great base for exploring India, buses and flights operate to many of the large cities throughout this fantastic country. The northern Goa resorts of Baga, Calangute and Candolim are the most popular destinations and all have a good range of accommodation ranging from basic 1* guest houses to 4* hotels. They have a fair share of lively bars and restaurants many of which serve up the catch of the day. If you like a bit of shopping, there are many boutiques, shops and stalls selling everything from spices to fashion and everything in between, you can stock up on your gifts for loved ones at home, popular buys include terracotta, brassware and bamboo. The less developed southern resorts of Goa are generally a lot more laid back, as all of the Goa coastline used to be before mass tourism moved in further north, you can expect to find deserted beaches, spacious farm lands, sleepy fishing villages and old style colonial mansions. It is where you would head for a quiet relaxing holiday and the accommodation is usually of a much higher standard. Nightlife usually revolves around the hotel although there is a small number of bars and restaurants. Food in Goa is influenced by Indian and Portuguese styles and seafood is very popular with tiger prawns and lobsters and many different varieties of curries to try to. Local red wine is a popular tipple to wash your food down with. The beaches in Goa are simply stunning and the pace of life is relaxed, but there is so much more to see and do on your Goa holiday. A cruise on the Mandovi River can be taken for dolphin spotting during the day or on an evening for the stunning sunsets. 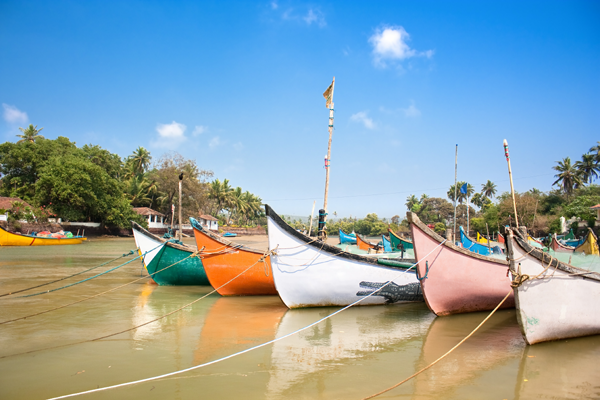 Although Goa is renowned for its beautiful beaches, it also offers a more cultural and historic scene. Old Goa was founded in the mid 16th-century and boasts a wealth of sights dating back to colonial times. The town is scattered with beautiful Portuguese churches and palaces, such as the Se Cathedral, the church of St Francis of Assisi, and the Basilica of Bom Jesus. You can also tour a spice plantation and sample the amazing aromas for yourself or immerse yourself in history at one of the many ancient Hindu temples. If you are feeling a bit more adventurous take a journey to the jungle on an evening safari to view the tigers or even ride an elephant. Or visit the spectacular Dudhasgar waterfalls with its steep cascade. Food in Goa is influenced by Indian and Portuguese styles and seafood is very popular with tiger prawns and lobsters and many different varieties of curries to try to. Local red wine is a popular tipple to wash your food down with. 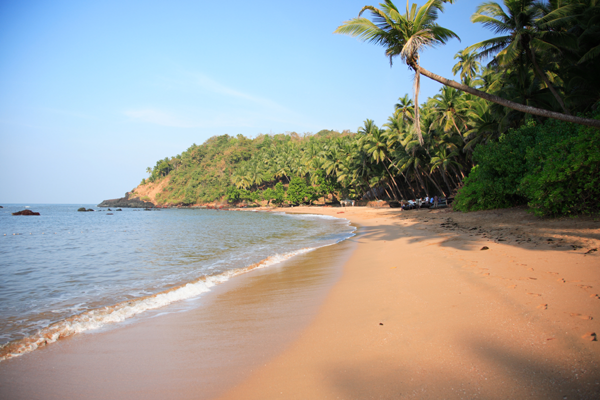 For relaxing beach holidays to Goa, have a browse around our site. Direct flights are available from Gatwick & Manchester between November to April. Due to limited availability on flights early booking is highly recommended!